If the Western town of Falling Rock isn't dangerous enough due to drunks, fast guns and greedy miners, it gets a real dose of ugly when a soulless, dynamite-loving bounty hunter named Smith rides into town to bring back a bounty, dead or alive—preferably dead. In the process, Smith sets off an explosive chain of events that send him straight to the waiting room in Hell where he is offered a one-time chance to absolve himself. It's an opportunity not only for Smith to experience action and adventure and deal with the living dead and all manner of demonic curses and terrible prophecies, it's a shot at love with a beautiful, one-eyed, redheaded-darling with a whip, a woman named Payday. But it's an even bigger shot at redemption. "Fans of Joe Lansdale's charismatic, genre-jumping storytelling (Fender Lizards) will eat up this collaboration with his brother: it's a whimsical save-the-world gunslinger zombie mash-up with a bit of black-winged Lovecraftian horror tossed in... [T]he ragtag team members—Smith, his horse, the saloon's 'girl for hire,' the town doctor, and the undertaker—achieve a smooth and high-energy dynamic as they use smart tactics, high carnage, and unlimited silver bullets to take down cowboy ghouls." 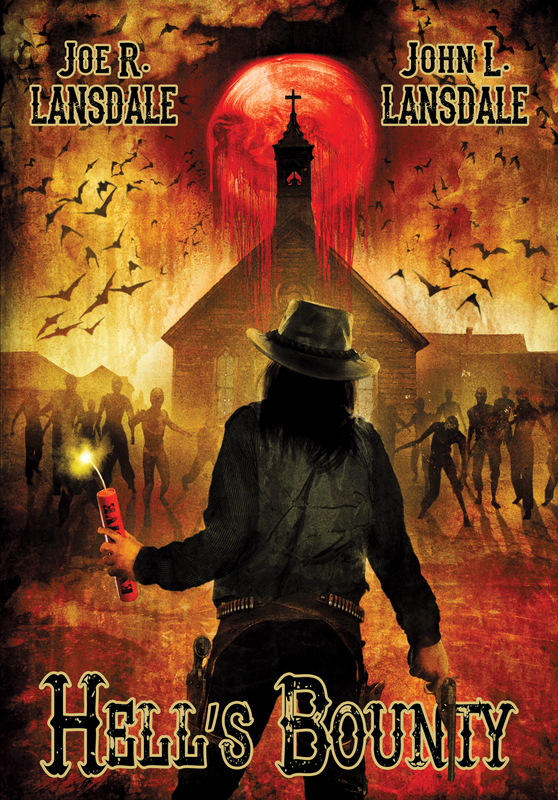 "Joe R. Lansdale's latest (cowritten with his brother) is a horror-tinged western centered on the small town of Falling Rock. Smith, a bounty hunter who meets an explosive end early in the novel, is sent forth from hell to try and combat a rogue demon bent on unleashing Lovecraftian entities, with the help of the now ghoulish citizens of Falling Rock."